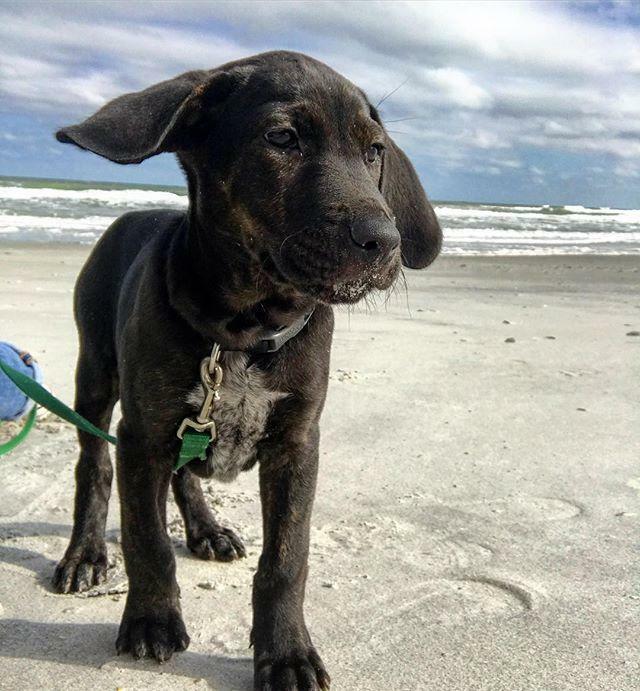 For our canine companions, life’s a beach in Jacksonville. Four dog-friendly beaches welcome pooches to their sandy shorelines. But make no bones about it: you’ve got to follow the rules. After all, you don’t want to make the wrong kind of waves at the beach. Perhaps the biggest draw in the Atlantic Beach area is the 1.5-mile stretch of sandy beach at Kathryn Abbey Hanna Park. In addition, dogs can sniff their way through the 450-acre park, including its superb trail system and 60-acre freshwater lake. Keep in mind that your dog will be sharing the natural beauty of Hanna Park with birds, alligators, foxes and sea turtles, so they must be kept on a leash (up to 8 feet) at all times. While you can certainly feed your dog, don’t feed the wildlife. Another doggie decree for Hanna Park is that you must adhere to a two-pup limit. And while your dog might not be able to ride the waves, you certainly can hang ten at The Poles, a renowned Jacksonville surfing spot that sits just inside the park. The entry fee for the park is $1 before 10 a.m. and $3 after that. 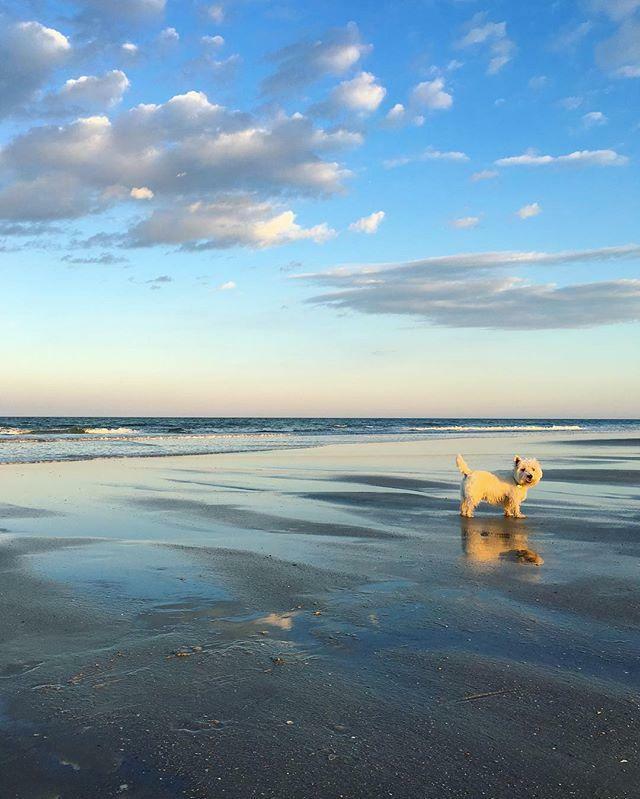 Boasting more than 4 miles of sand and surf, Jacksonville Beach is one of the larger beaches in the area, and a popular destination for dog owners because of its many dog-friendly restaurants. The only hitch is that dogs must be leashed at all times, and are prohibited on the beach daily from 9 a.m. to 5 p.m. So you’ll need to get you and your pup up bright and early for a sunrise stroll and a cup of Joe on the pier, or wait until after work to play in the sand before taking in the sunset at one of the seaside restaurant patios. For owners who prefer to let their dogs off the leash, Paws Park in Jacksonville Beach is a members-only playground with separate large-dog and small-dog areas, and the hours are much more flexible. This naval base boasts the third largest surface fleet concentration area in the U.S., with a protected harbor that accommodates a vast number of vessels and aircraft year round. The base alone offers a one-of-a-kind backdrop but its white-sand beach just north of Hanna Park is the main attraction for your dog. Leashed pups are permitted daily until dusk, just so long as they—and their handlers—don’t stray south of the area around the Navy-Marine Corps Relief Society building. Neptune Beach is a quaint coastal paradise offering one of the more pristine beaches in all of Jacksonville. The pedestrian-friendly community makes dog walking a breeze, but dogs must remain on leashes at all times and are prohibited on the beach between 9 a.m. to 5 p.m.
It’s also a great spot for cycling, surfing and catching sunrises and sunsets at the dog-friendly Sliders Seafood Grille or Lillie’s Coffee Bar. Jacksonville truly is one of the best places in all of Florida to own a dog by the beach. Just remember, wherever you take your dog in Jacksonville, it must have a current rabies license and a city pet tag if you and your pet are residents of the city. From being active in the largest urban park system to exploring our waterways, to the world-class arts and amazing dining, there are limitless ways to have fun when you’re in Jacksonville! Click here to learn more about what Jacksonville has to offer.